Do you feel that time since your children were born is passing way too quickly? I know I do! 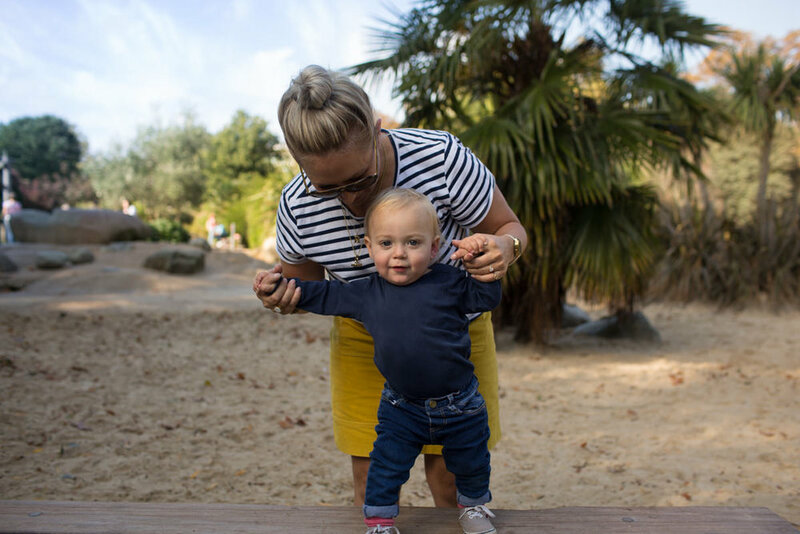 Perhaps you love the idea of having some photos taken to capture time with your baby, but feel unsure about what the session will entail? Do you feel that a full family session would feel a little too formal, but at the same time wish there were more beautiful photos of you as a mother? Then a mum and baby session could be the perfect solution for you! 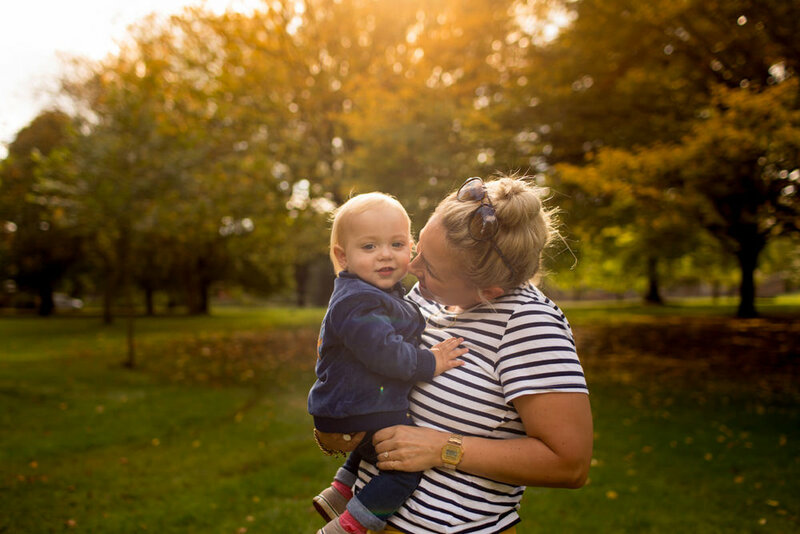 This recent Mum and baby session took place in the beautiful Autumn sunshine of Hyde Park, and we had so much fun celebrating motherhood and this gorgeous boy. Having turned 1 in the summer, I was contacted by this Mum who suddenly realised there were barely any photos of the two of them together, so we agreed to meet up to rectify this! 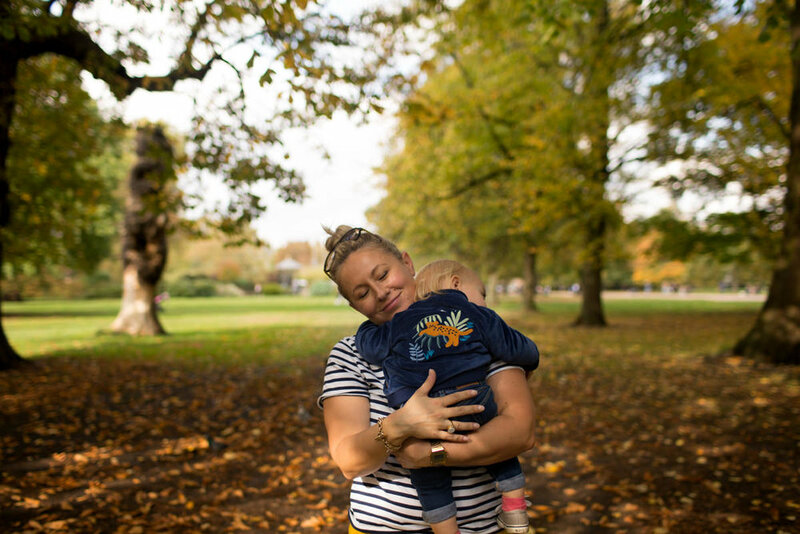 We spent a brilliant hour in the park, talking about everything from the joys of motherhood to how exhausting it can all feel. I think she completely hit the nail on the head when she said she blinked and she has a 1 year old! I feel so good knowing that she now has a beautiful set of images of the two of them together. 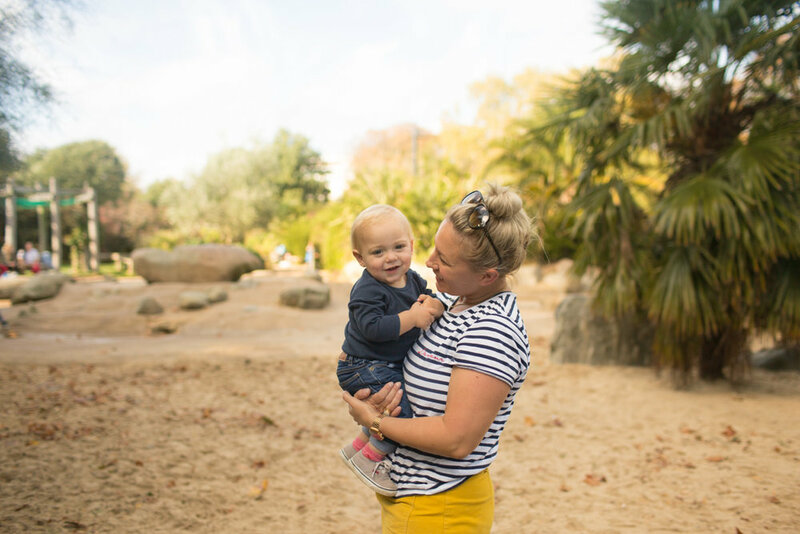 If you’d like some more natural photos taken in beautiful light of you with your children, I would love to hear from you!